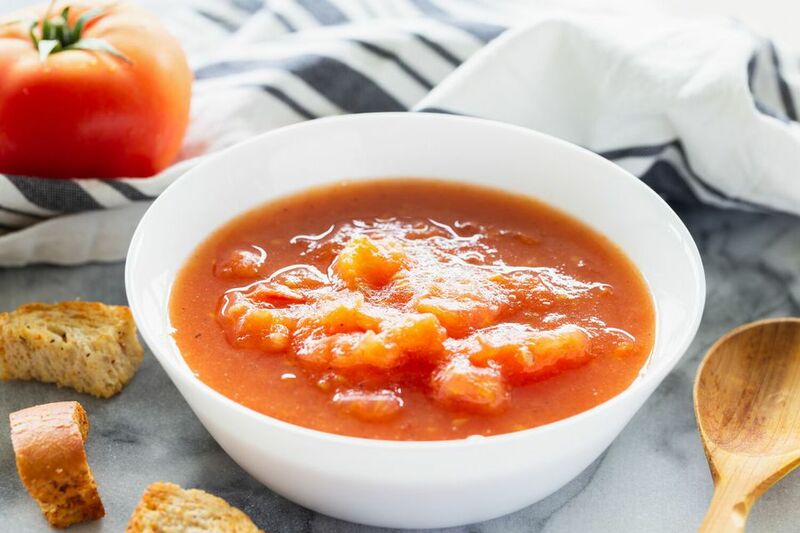 This recipe is for basic stewed tomatoes made with fresh tomatoes, salt and pepper, butter, and sugar. Heat the tomatoes in a medium saucepan over medium-low heat, stirring constantly for about 5 minutes. Continue cooking over low heat for 10 to 15 minutes, stirring frequently, or until desired consistency is reached. Add salt, pepper, butter, and sugar; taste and adjust seasonings. If desired serve with croutons on top. Sauté some finely chopped celery, onion, and bell peppers for a zestier, more flavorful dish. Add a few dashes of Tabasco or some red pepper flakes for a little heat.